Wheat Grass Capsule: Enriched with antioxidential properties & high nutrient density, it fights & protects against illness, strengthen the body immune system & energizes the body. It is a natural blood purifier, helps in weight management& formation of pure blood in the body. Ingredients : Each 500 mg Capsule contain herb extract of Wheat Grass. 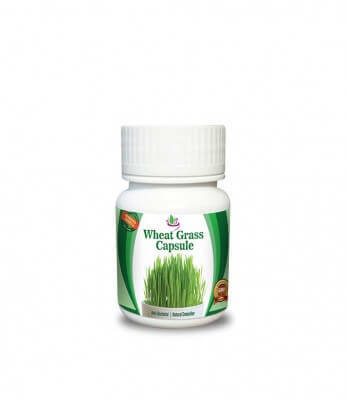 Each 500 mg Capsule contain herb extract of Wheat Grass.